For those who have popped by the online shop, you may have noticed that we don’t have ‘In stock’ numbers. There’s a reason for that – I dye *all* the time. Like, constantly. Which means most colourways are stored safely in their plastic bins waiting to be wrapped in tissue and delivered safely to the post shop as soon as it is ordered. Which means, importantly, instant gratification. I’m an incredibly impatient person. 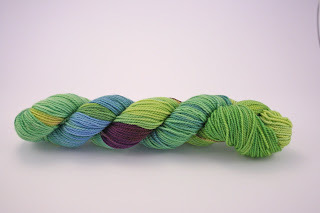 I want everything yesterday – and i’m no different with yarn! I’ve made a promise to myself, and you, that all orders will be in the post the next working day at the latest – the same day if possible. So when you place your order, it will be with you tout de suite*. Yay! *Unfortunately I don’t have control over delays due to erupting volcanoes, flooding, and punctured postie bike tyres. If only! 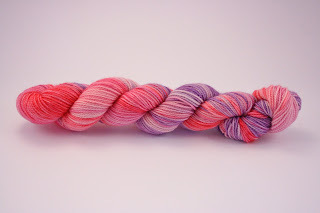 A few days ago there was a shop update (yes, i’m a little tardy in blogging it). There are some scrumptious new colours, my faves being Beauregarde (as in, ‘You’re turning violet, Violet!’), and Harvey Wallbanger. Dyeing new colours has got to be one of my favourite things about this wool business. I’m already plotting more – it simply never ends. But I’m curious – do you prefer more, or less choice when it comes to colours? 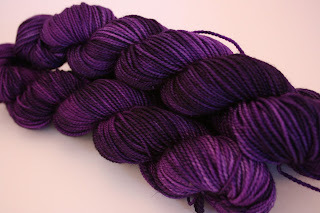 Are there any colours you are lusting after in sock weight but I haven’t dyed it yet? Let me know! 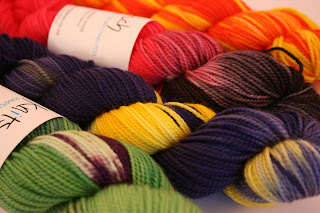 It’s official – you can now buy Knitsch Yarns online! *squeeeeeeeeee* Pretty gosh darn exciting. Go on, have a nosy. And let us know if there is anything you love or loathe about the site – feedback is most welcome.